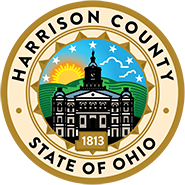 The Communicable Disease Unit of the Harrison County Health Department is primarily responsible for the prevention and control of infectious disease in the community. Protection of public health is accomplished through active case identification, assessment, data collection, public education, and referral to community health providers. According to the Ohio Administrative Code, section 3701-3, all laboratories are required to report all positive lab results. Physicians, and other health professionals, are required to report all positive and suspect cases. Reports are made to the local health district where the patient lives.